A good cocktail is just as important as a good meal on Valentine's Day. The go to beverage on this romantic holiday is champagne but I challenge you to go bigger and bolder. 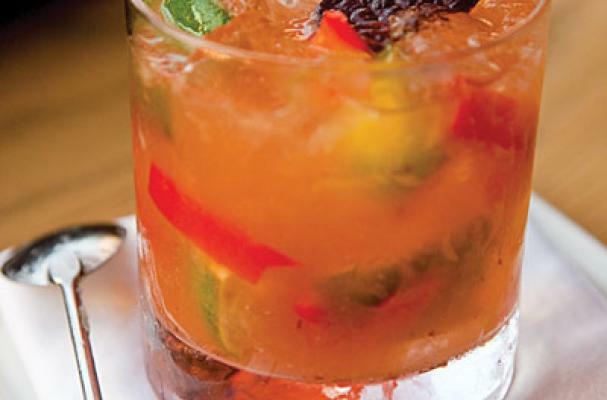 These full flavored tequila cocktails are anything but tame. The Bac in Love margarita is shaken with a smoky bacon infused tequila while the Romance Rita is studded with black cherries and infused with their fruity flavor. Step 1: Combine lemon juice, agave nectar, ginger syrup, chipotle purée, and lime wedges in a cocktail shaker and muddle together. Add ice and tequila, and stir. 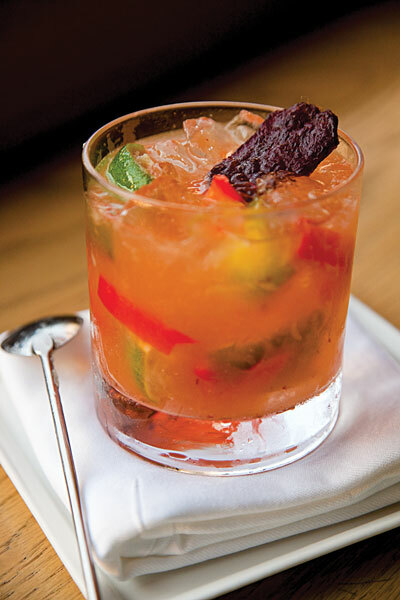 Pour into a cocktail glass and garnish with bell pepper and beef jerky. *Note: To make your own ginger syrup, boil 1/3 cup sugar and 1/2 cup water with one 2” piece of peeled and smashed ginger for 5 minutes. Strain and refrigerate. Step 1: Cook the bacon in a frying pan until it is crisp and the fat is rendered. Remove the bacon and let drain on a plate with paper towels. Remove the liquid fat from the pan and strain, set aside to cool. Sterilize your canning jar in boiling water. Fill clean jar with 3 cups Sauza® Blue Reposado. Once the fat has cooled slightly add it to the container. Finally add 2 pieces of the cooked bacon. Seal the jar and set to infuse for five days in your refrigerator. The fat and liquid will separate. When you are ready to use your Bacon-Infused Tequila, skim the fat from the top and strain through a double cheese cloth. 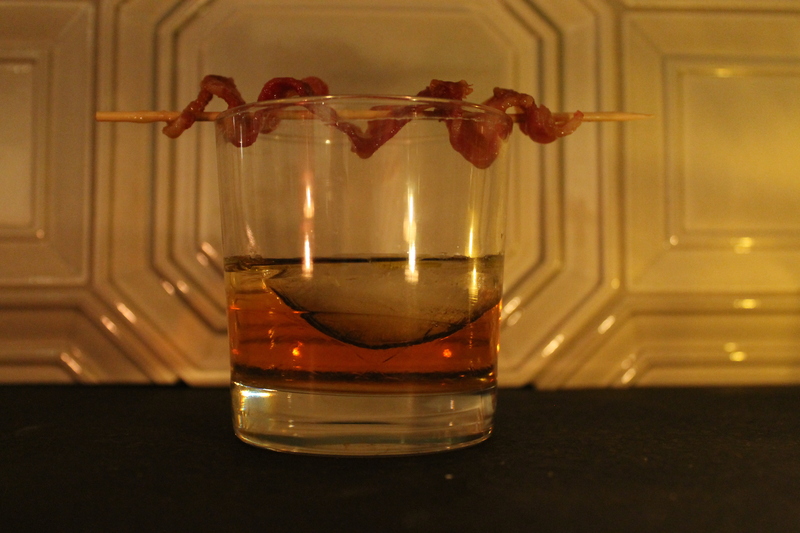 Set aside 1 ½ parts of Bacon-Infused Tequila to use for your margarita, and store the rest in the refrigerator for later use. Step 2: Combine 1 1/2 parts of Bacon-Infused Tequila, frozen limeade, water and light beer. Stir gently and enjoy! Step 1: Muddle together cherries, lime juice and agave nectar. Strain into shaker. Add in orange liqueur, tequila, and ice and shake. 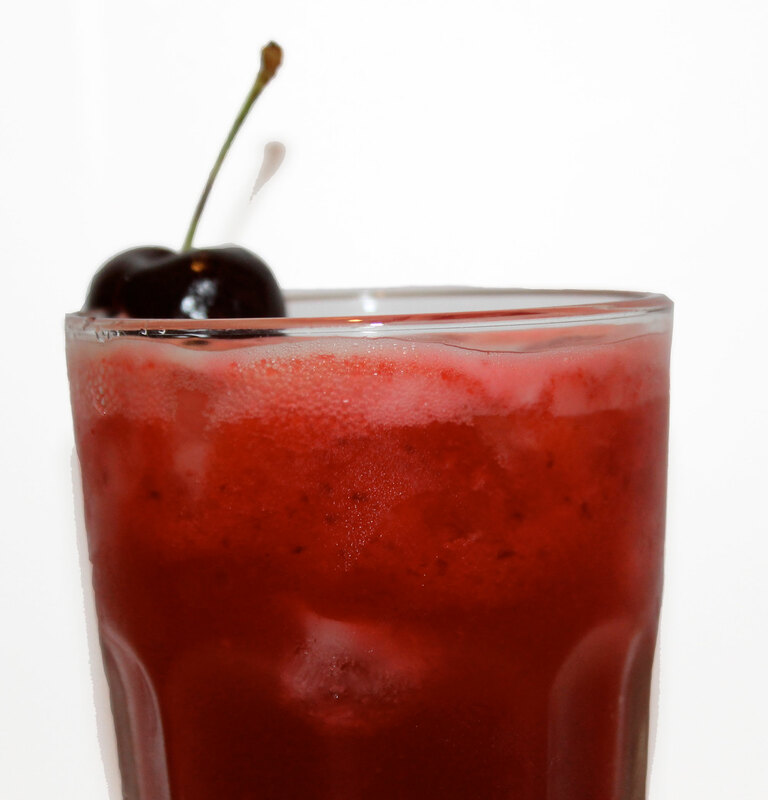 Top with club soda and garnish with cherries.